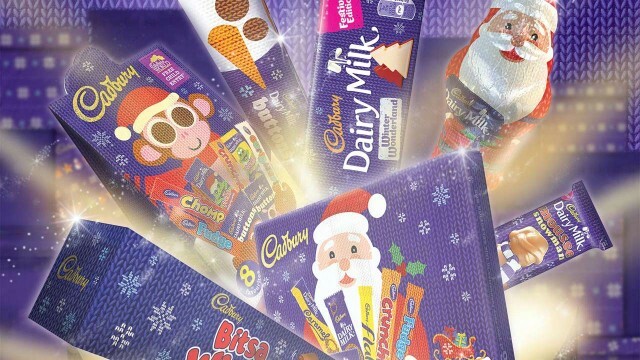 Cadbury launched their first Dairy Milk Christmas campaign, featuring excited children waking not to snow, but to their street wrapped in purple wrapping paper – culminating in an explosion of Dairy Milk Chocolate bars. 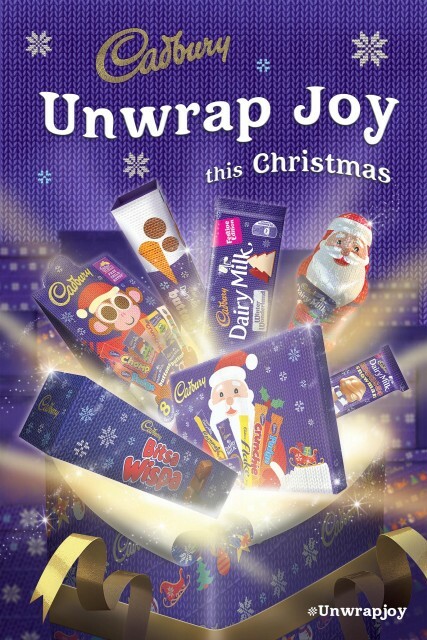 As part of the same campaign, we were asked to produce a poster to promote a selection of products from the Dairy Milk chocolate collection. We knew that the poster needed to be in keeping with the campaign, be exciting and kinetic and feature select products. 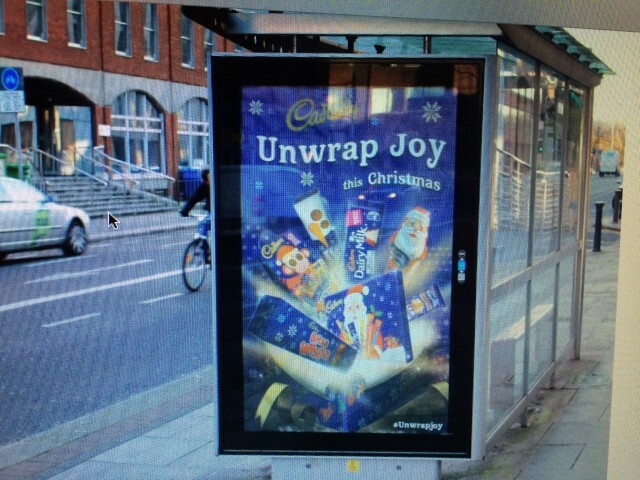 Our concept saw a christmas present explode with chocolate, amongst a warm and exciting golden glow of light. The products themselves had varied fixed shapes and so their composition amongst each other was critical to ensure a pleasing image. We also worked to ensure the products had separation from the background whilst also being a similar colour and pattern. The client was so happy with the final result that we were asked to create their TV christmas countdown idents. The client was so happy with the final results that they asked us to create a series of TV countdown idents in the run up to Christmas.